Join the #NFLUKChat discussion every Sunday at 5pm! 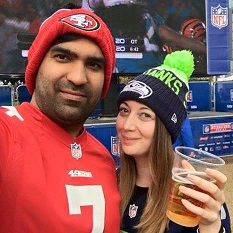 Want to interact with other NFL fans here in the UK? On Twitter, we’ve got a great community but I wanted to pick a time each week where we could all get together and discuss the game we all love – and what better time than before the games kick off on Sunday! So join me @NFLGirlUK and the rest of the NFL fan base every Sunday at 5pm as part of the build up for NFL Sunday using the hashtag #NFLUKChat to get involved in the discussion. As it’s our first ever Sunday, let’s start off by introducing ourselves – just tell everyone who you are, where you’re from and who your team is!